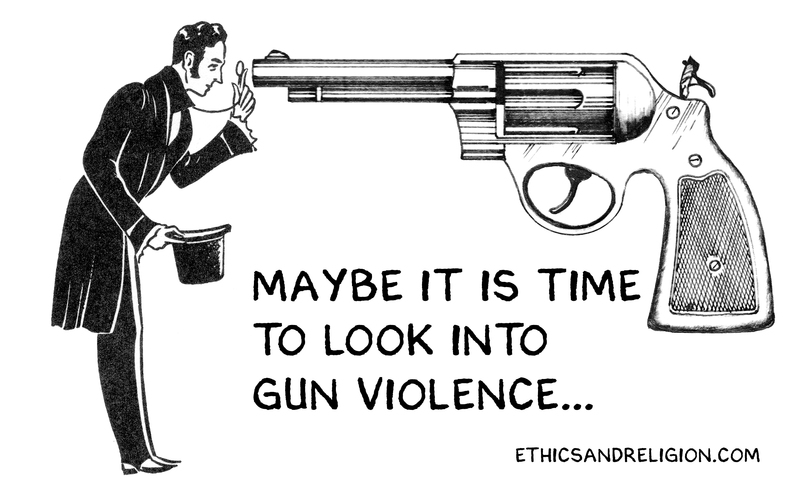 Since John Russell Houser killed two people July 26 in a Lafayette, LA movie theater, there have been 10 more mass killings – and a total of 215 mass shootings in 2015 - one a day! However, much more disturbing is America's 32,288 firearm deaths in a recent year. Since 9/11 America has spent trillions invading two countries and another $800 billion on homeland security to fight terrorism. However, columnist Fareed Zakaria notes there have been only 74 terrorists killed in the U.S. In that same period 150,000 Americans have been killed in gun homicides "and we have done...nothing." He's right. Our priorities are upside down – and in sharp contrast to our allies. The U.S. gun murder rate is 50 times that of Germany. Japan had just 11 gun homicides. There were only 44 gun murders in Great Britain in 2012, a nation one-fifth our size. If the U.S. had the same proportion of gun murders there would be only 220 – not 11,583. 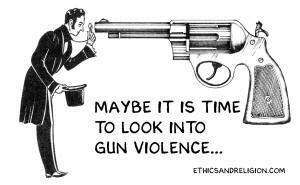 Most Republicans are anti gun control, causing much needless loss of life. Some are foolish on this issue. Sen. Ted Cruz took delight this week in frying bacon by wrapping it around a rifle muzzle that he fired so many times, it heated up to cook the bacon. Former Texas Gov. Rick Perry suggested the answer for Houser's killing in a Lafayette movie theater is to allow other patrons to be armed who could have shot the gunman. On Monday Amy Schumer, a comedian whose film "Trainwreck" was being shown in that Lafayette theater, teamed up with her cousin, Sen. Chuck Schumer (D-NY), to propose a sophisticated gun control law that makes sense. "I'm not sure why this man chose my movie to end those two lives and injure nine others, but it was very personal for me," she said about her first major film. "We always find out how the shooter got their gun, and it's always something that never should have happened in the first place." The killer had a record of being mentally disturbed – as did Dylann Roof, who killed nine people in a Charleston church in June. Sen. Schumer's legislation would close a gun loophole in the federal law that allowed those killers to buy guns. "If there's anything that the mass shootings in Lafayette, Chattanooga, Charleston, Virginia Tech, Aurora, Sandy Hook...have taught us, it's that we should do everything in our power prevent weapons from falling into the hands of hateful evil-doers and the mentally ill," he asserted. "We all know that if laws were tighter, the shooter in Charleston would not have been able to purchase a gun. His thoughtful proposal had three elements. First, his bill would financially reward states which "submit all necessary records into the background check system," and penalize those who do not. Schumer also requested the Department of Justice to write a report "comparing all states' standards for involuntary mental health commitment," meant to provide "federal recommendations" for practices. Finally, he asked for an increase in funding for the Substance Abuse and Mental Health Services Administration to offer more treatment to those in need. Amy Schumer added, "These are my first public comments on the issue of gun violence. I can promise you this: They will not be my last." Strengthening background checks even has the support of three out of four NRA members. In fact, about 2 million attempts to purchase firearms have been blocked due to a background check. About half involved felons. America's carnage can be reduced. Universal background checks is the first step. Second is a much more comprehensive reporting of those with mental illness, included in Schumer's bill. Finally, a much more serious effort is needed to stem suicides. What's particularly shocking is that two-thirds of America's 32,228 gun deaths are suicides. Only a small number of suicides happen without warning. Many people contemplating suicide talk or write about death or suicide. All threats of self-harm should be taken seriously. There are often changes in behavior or mood, or the person may cry a lot. They may talk about themselves negatively or harshly and stop participating in regular activities. They may give away personal possessions and buy weapons or pills. In such cases, speak with the person. Express a desire to be supportive: "You may feel so alone, but you are not alone." If possible, have them call 1-800-273-TALK (8255) a suicide prevention line. Or you do so. Such initiatives might save 10,000 lives. America can drastically reduce gun deaths.